Album countdown: 2 days left. Today’s fun fact: 61 minutes and 55 seconds. The time it takes for you to listen to the whole album. And must I say, I believe the experience will be more fullfilling if you do so rather than just skipping through. Today’s fun fact 2: Some may have noticed that the album appears on several online stores. At Amazon, song previews are available! 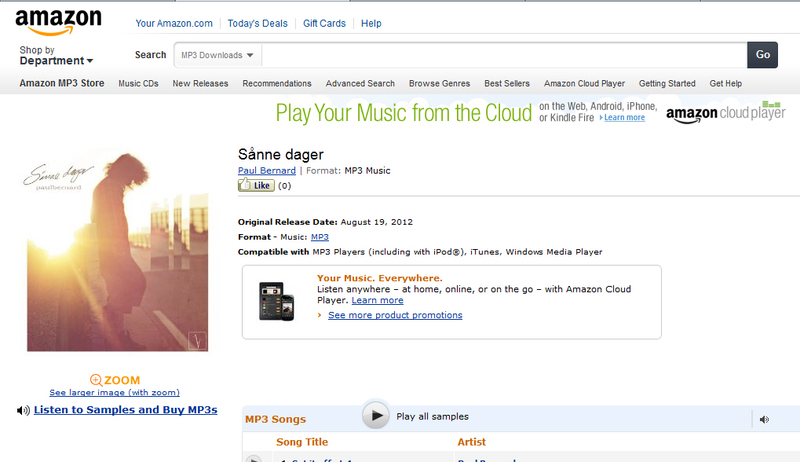 Next Post: “Sånne dager” album is out today!